John Pollock and Wai Ting review WWE Raw from Portland, Oregon. 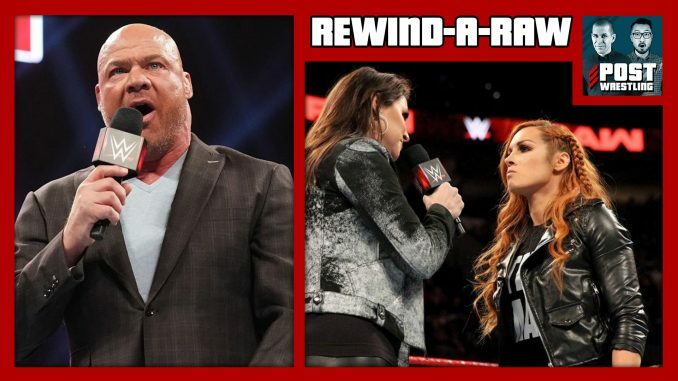 Featuring Stephanie McMahon and Becky Lynch opening the show, Ronda Rousey has two matches against members of the Riott Squad, another team qualifies for the women’s Elimination Chamber, Kurt Angle teams with Braun Strowman in the main event, and Jeff Jarrett has his first match on Raw since 19 Double 9. NEWS OF THE DAY: The first inductees for the WWE Hall of Fame, Sasha Banks update, Seth Rollins misses Raw, WrestleMania Axxess, Halftime Heat, Superstar Shakeup dates announced & more.